A family run business since 1959, we have a well earned reputation for providing an excellent service. This reputation comes from our commitment to meeting customers needs. Our priorities are always reliability, honesty, quality products and to meet customers deadlines. We take great pride in the repeat business we receive from well established customers. Our dedicated team is then able to make any new customers feel as important as our long established ones. In many organisations, a salesman is often the first point of contact. At Bowden & Dolphin we have no sales people. You are guaranteed a personal and attentive response because you deal with the people who own and run the business. Find out for yourself, let us talk to you about your signage requirements. 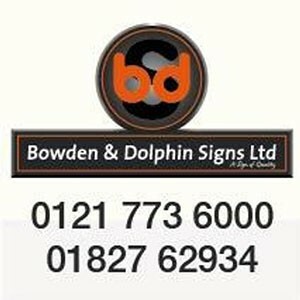 Edit Bowden & Dolphin Ltd.